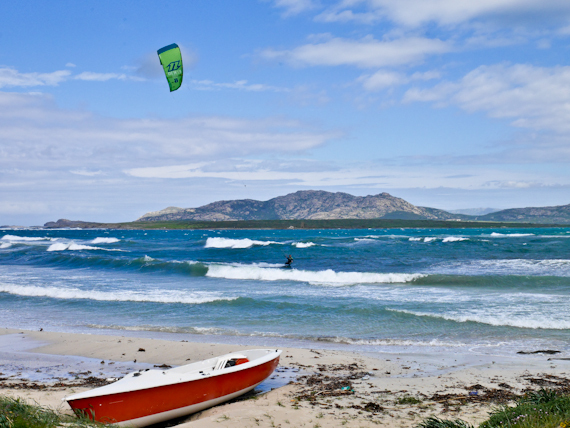 North-west Sardinia is a popular summer destination with tourists attracted by its coastline and glorious sandy beaches. Out of season, however, it offers other rewards, not least its glorious food and drink, interesting archaeology, hillside castles and deserted seashores. 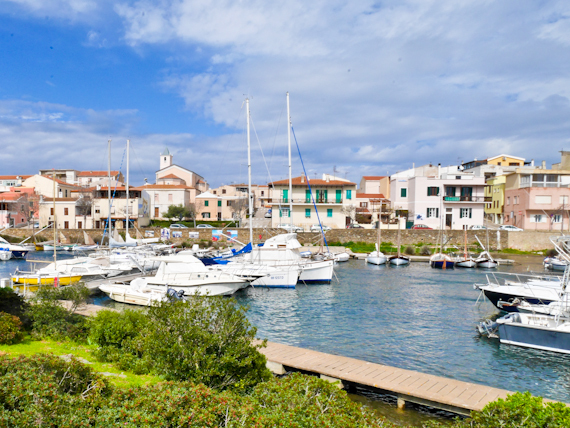 Now direct flights between London Luton and Alghero make it accessible all year round. 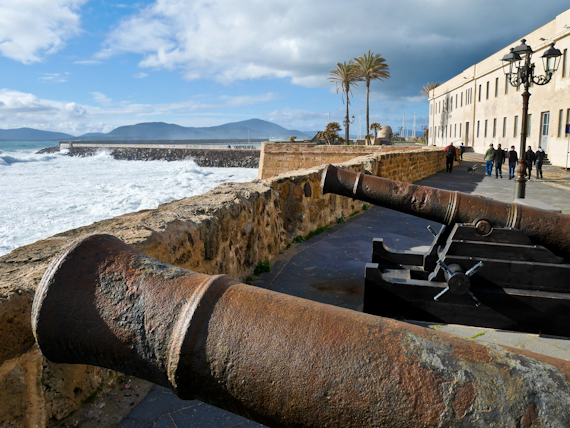 Alghero is the main resort in the North but also one of the best preserved medieval cities. It was once completely walled but all that remains are the imposing sea bastions, built to protect the citizens from marauding pirates. Wander the historic centre through its cobbled lanes, lined with imposing palaces, and sample an aperitivo in one of the many the cafes in the piazzas. Red coral is big here and you’ll find many boutiques selling jewellery made from the stuff. 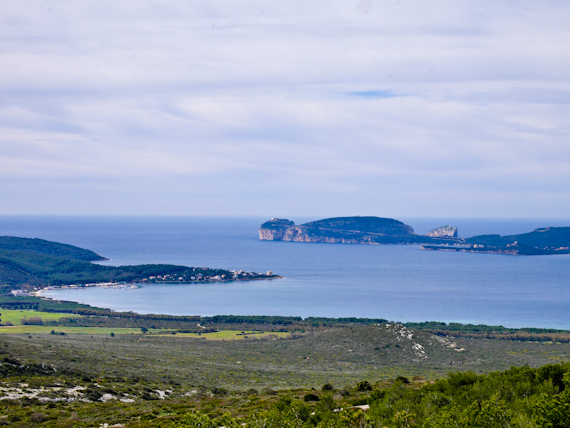 The coastline north of Alghero is famous for its beaches and much of it is a protected area, forming the Porto Conte regional park. Capo Caccia juts out into the sea and 656 steps lead down to the Grotta di Nettuno, a popular attraction also accessible by boat from Alghero. This was once a prison colony and the buildings have been transformed into a museum and arts centre. Visit Cantina Santa Maria La Palma and sample their famous Akenta sparkling wine made from the Vermentino grape. Every year they bury 700 bottles under the sea where the pressure increases the size of the bubbles and improves the ageing process. Once the biggest port in Sardinia, founded by Julius Caesar to trade with Africa and Spain, it has some imposing ruins. 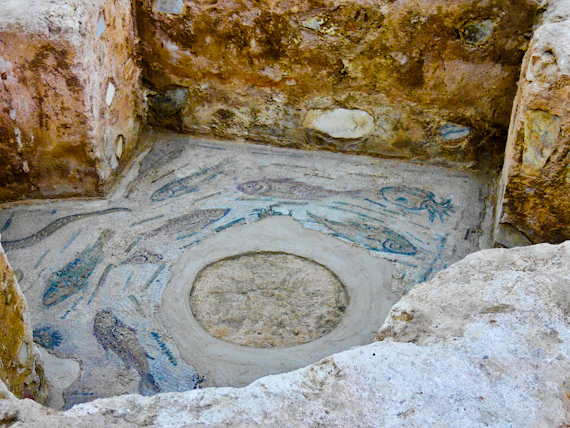 As well as the remains of the Roman baths there are some rather well-preserved mosaics from a house built on the site. Nearby is the Basilica San Gavino, the largest Romanesque church in Sardinia, which reuses some of the Roman columns and has a double apse. Popular for day trips, the narrow alleyways of its medieval centre are topped by its impressive 12th-century fortress, built by a Genovese family. Inside is a museum of local handicrafts but it’s worth climbing up to the battlement for fine views over the cliffs and you can see Corsica on a clear day. Below is Castelsardo’s cathedral with its fifteenth-century altarpiece and a crypt with a museum of religious art. Just outside the town is the Roccia dell’Elefante, or Elephant Rock, its shape a result of natural erosion. Inside are two Neolithic tombs with carvings of animals and plants. Long before the Romans came here, Sardinia was home to the Nuragic civilization, now completely disappeared. 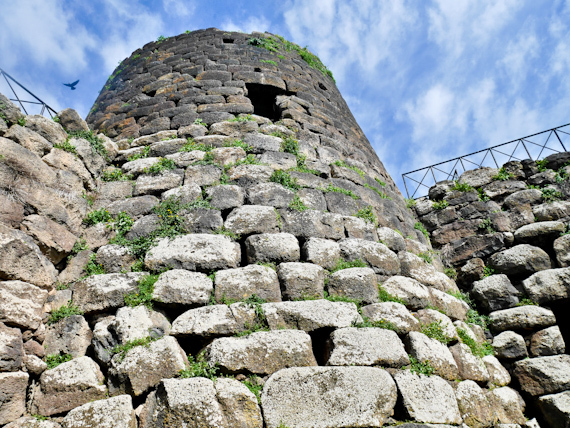 Between 1900 and 730 BC they built tower-like structures, known as Nuraghe and 7000 of these are scattered throughout the island. The most impressive is the Nuraghe Santu Antine, a 25m tower, now reduced to 17m, with a diameter of 15m. 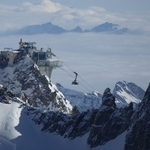 It’s built from huge perfectly shaped basalt blocks which gradually get smaller from the base towards the top of the building and is enclosed by a circular wall with three smaller towers. Around the tower was a sizeable settlement and archaeologists have uncovered 14 circular huts plus a large collection of artefacts. 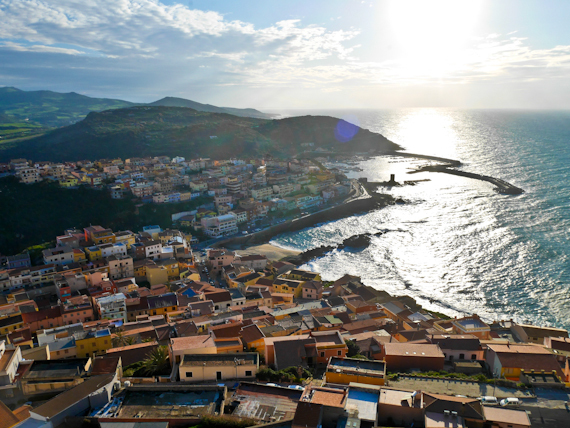 Sardinia’s second largest city is not a tourist resort but a university town, complete with an imposing cathedral. Its ornate 18th-century baroque façade is stuffed with friezes, reliefs, statues and busts, but the interior is 15th century Catalan Gothic. If you’re interested in the Nuragic culture then the Sanna Museum has finds from sites in the area, including ceramics, household items and pottery. Don’t miss the sophisticated bronzeware, including tools, jewellery and figurines. 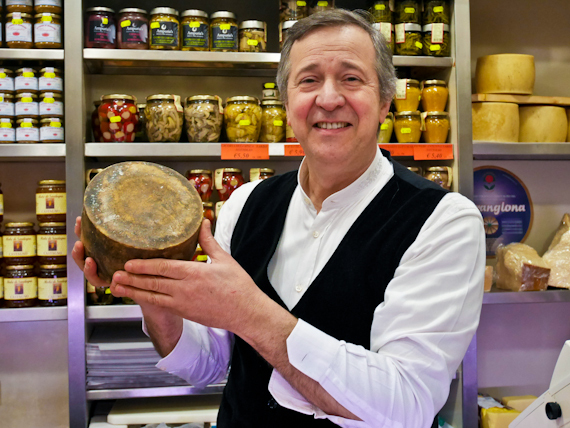 Sassari is also the place to find excellent local cheese and charcuterie. 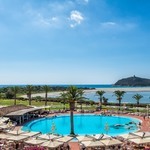 Sardegna Turismo has information about the region. Ristorante Mirador, Alghero, is good for fish. La Botteghina Alghero, has excellent pasta and pizza. Il Portico, Stintino, serves the freshest of shellfish. Ristorante Da Ugo, Castelsardo, is also good for fish. 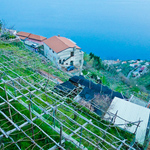 Winery Tenute Delogu, Sassari-Fertilia, has traditional Sardinian dishes. Agriturismo Sa Mandra, just outside Alghero, makes its own cheese and roasts suckling pig on the fire. Ristorante La Torre Ozieri, is good for meat and pasta. EasyJet flies direct from London Luton to Alghero, in Sardinia, twice a week. ThamesLink connects St Pancras with Luton Parkway.